It is a natural reflex to help one another when someone is in need — whether you are a human being or an animal… Just like these Elephants. 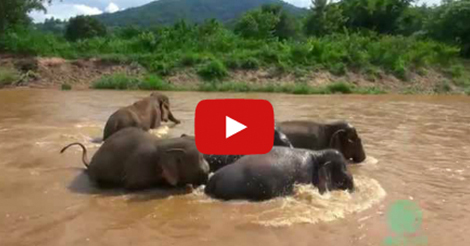 The Nannies protected the baby elephant from the strong river during bath time. They gathered around the baby elephant so that she will not be swept away by strong current of the river. This is a very common situations among elephants. They are known to protect the young ones from danger, and also helps one another. 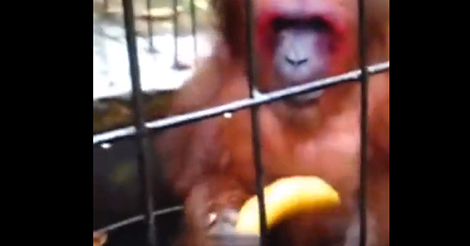 This Monkey Pretended To Not Want Your Banana… Just Kidding! Matt Lauer Revenge Pranks Ellen DeGeneres!